Have you heard about the TED Conference? TED stands for Technology, Entertainment, Design. 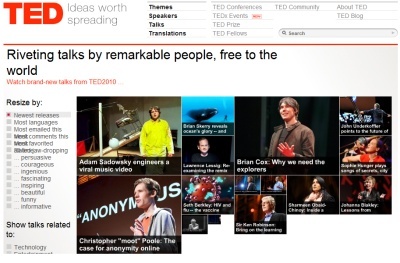 Some of the world’s most “fascinating thinkers and doers are challenged to give the talk of their lives (in 18 minutes).” Whether for inspiration, insight, or a laugh, you can view videos here . TED Fellow Sophal Ear shares the compelling story of his family’s escape from Cambodia under the rule of the Khmer Rouge. He recounts his mother’s cunning and determination to save her children.